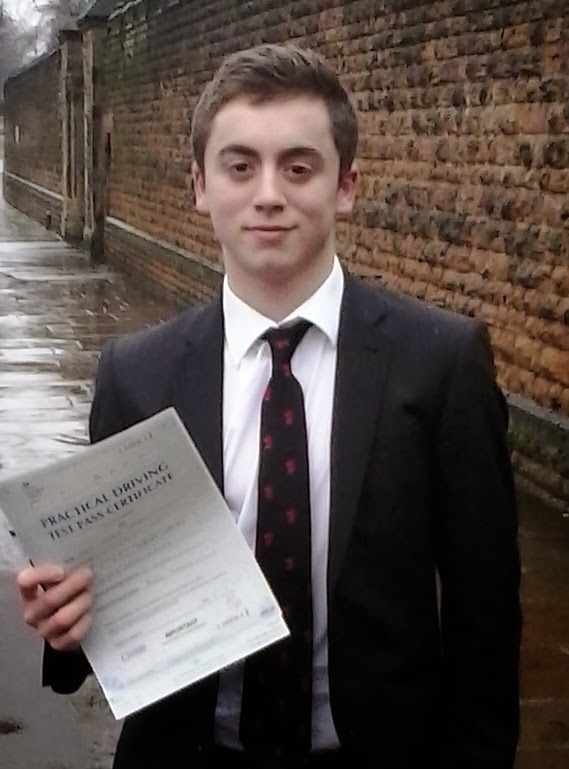 Congratulations to Jack Drayton who learned to drive in Nottingham. He did it, he really went and did it. jack Drayton has completed his driving lessons and passed his test making him a qualified driver. It's been a long learning period for Jack of just over a year. It was well worth it and now he's on his way. Jack always drove like he was late for a meeting. Not actually breaking the speed limit too much but not really slowing down enough for hazards. More speed equals less time which adds up to needless mistakes. This is so common among learner and experienced drivers alike. There are many reasons why people get into this state of mind. Sometimes they imagine people behind them are annoyed by the lack of progress. This is rarely true. The vast majority of drivers are not really bothered who's in front of them and will wait a few seconds for you to set off. Watching parents and others driving impatiently is another factor. If the person you are a passenger with always sounds off about other drivers and complains then you will naturally think that all drivers must be like this. If your driver is patient and considerate then this will have a more positive influence on the way you drive. So long Jack. take care out there on the road. Where should I go for driving lessons in Nottingham? Let's look at some driving instructor reviews.